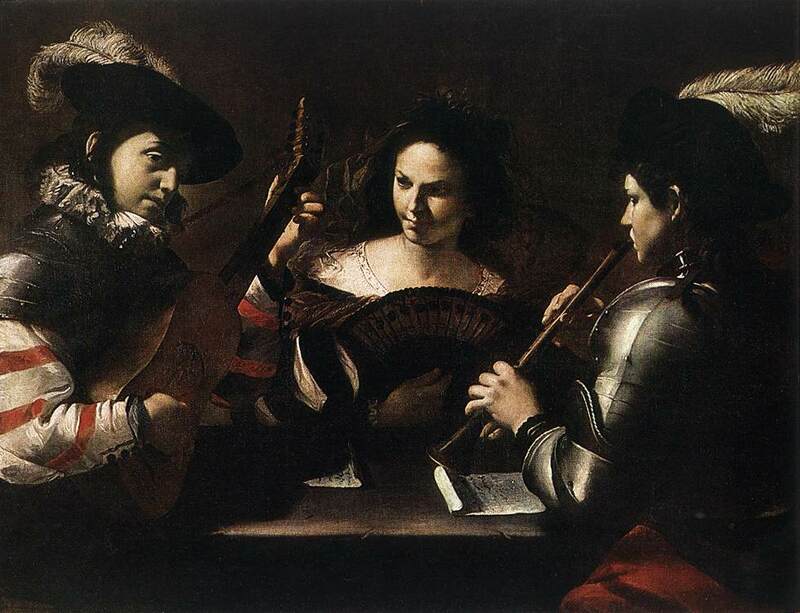 Mattia Preti (also called Il Cavaliere Calabrese) was an Italian Baroque painter. He came from Taverna in Calabria (hence his nickname) and his prolific career took him to many different parts of Italy (and according to an early biographer to Spain and Flanders). 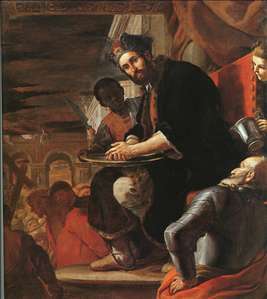 Mattia Preti left Calabria to join his brother Gregorio, also a painter, in Rome. 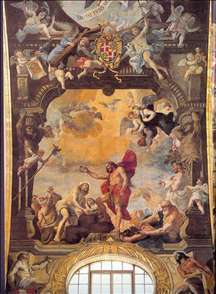 He met with such outstanding success that within a short time he had become one of the most authoritative southern painters of the second half of the seventeenth century. 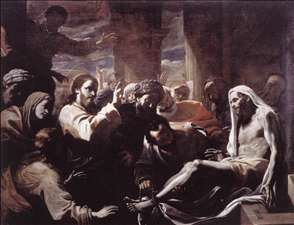 His early work includes groups of musicians and card-players, strongly Caravaggesque in style, but later he excelled mainly in frescos on religious subjects. 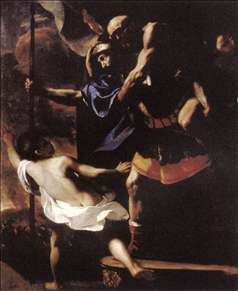 In this field his main model was Lanfranco, whom he succeeded in the decoration of S. Andrea della Valle in Rome (1650-51). 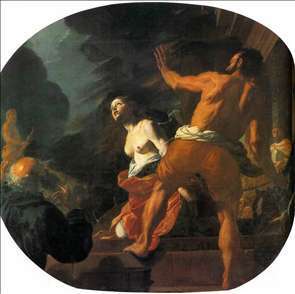 In 1653 he moved to Modena where he painted the frescos in the apse and dome of S. Biagio. The time he spent in northern Italy broadened his artistic culture further. He reached his fullest maturity and originality during the brief but very important period he spent in Naples (1656-60). The plague of 1656 carried off virtually a whole generation of artists in Naples. 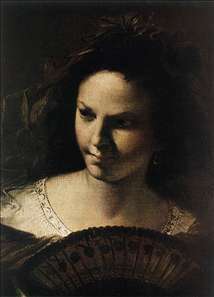 Preti worked with great success there, gaining many important commissions. They included a series of seven frescos commemorating the plague for the city gates; they no longer survive, but two modelli for them are in the Museo di Capodimonte in Naples and give some idea of how powerful the huge frescos must have been. 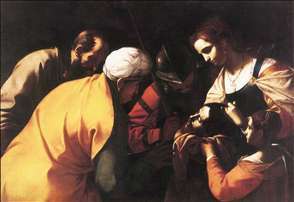 During this period he turned out several of his masterpieces at a breathtaking rate. Some of them still remain in Naples (Capodimonte, Palazzo Reale), but others have gone abroad, in particular to the United States. In 1661 he went to Malta where he stayed until his death. 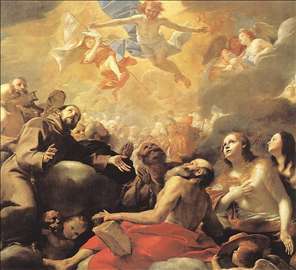 He alternated between painting altarpieces and frescos for the island s churches, including the cathedral of Valletta. From time to time he paid visits to his home town which, over the years, became almost a gallery of his work. 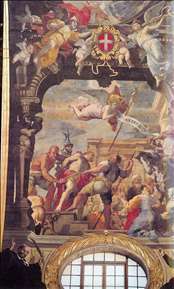 See more details about "Aeneas, Anchises and Ascanius Fleeing Troy"
See more details about "St John Cast into Prison"
See more details about "Beheading of St. Catherine"
See more details about "Christ in Glory"
See more details about "Concert"
See more details about "Concert "